In December, the House of Commons vote on the Withdrawal Agreement and Future Relationship was deferred (previous post) and the Prime Minister said that, having listened to concerns in the Commons about the Ireland/Northern Ireland backstop, she would seek additional reassurances from the EU. An exchange of letters took place between the Prime Minister and the Presidents of the EU Council (Mr Tusk) and the EU Commission (Mr Juncker). In their letter, the presidents responded to the points raised by the UK Prime Minister and provided clarifications to the Brexit withdrawal agreement and the political declaration. "Both of us will be prepared to sign the withdrawal agreement as soon as the meaningful vote has passed in the UK Parliament." The Prime Minister made a statement to the House of Commons about the reassurances. This post does not set out every detail of the documents but some points should be noted. Mr Tusk stated that - "European Council conclusions have a legal value in the Union commensurate to the authority of the European Council under the Treaties to define directions and priorities for the European Union at the highest level and, in the specific context of withdrawal, to establish, in the form of guidelines, its framework. They may commit the European Union in the most solemn manner. European Council conclusions therefore constitute part of the context in which an international agreement, such as the Withdrawal Agreement, will be interpreted." The Attorney-General agreed with that statement - "Council's conclusions of 13 December 2018 would have legal force in international law and thus be relevant and cognisable in the interpretation of the Withdrawal Agreement, and in particular the Northern Ireland Protocol, albeit they do not alter the fundamental meanings of its provisions as I advised them to be on 13 November 2018." At the 13 December European Council it was underlined that the backstop was intended as an insurance policy to prevent a hard border on the island of Ireland and ensure the integrity of the single market. 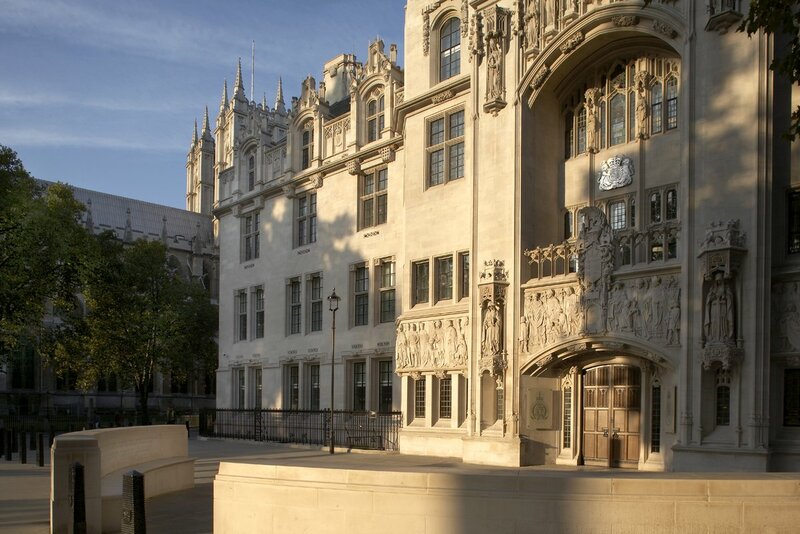 "If the backstop were nevertheless to be triggered, it would apply temporarily, unless and until it is superseded by a subsequent agreement that ensures that a hard border is avoided." Hence, whilst the backstop (if it happens) can only be ended by agreement, there is the EU Council's conclusion that it would apply temporarily - (i.e. should not be allowed to be a permanent feature). How long "temporarily" might prove to be is of course a key concern for many MPs. The Withdrawal Agreement gives the UK a right to extend the transition period should that be required and that would avoid the need for the backstop for the duration of any extension. Clearly, the best way to avoid the backstop altogether is to make it unnecessary by achieving a long term agreement and the EU has clearly indicated its willingness to get on with negotiations to that end. Under Article 50, the Withdrawal Agreement has to take account of the framework for the future relationship. In the event, we have two documents - the Withdrawal Agreement and the Political Declaration. We know that, if it is ratified, the Withdrawal Agreement will be legally binding in international law but what of the Political Declaration (PD)? The PD contains many broad-brush statements and areas of co-operation beyond those in the PD can be considered during negotiations. The PD envisages matters such as 'comprehensive arrangements to create a free trade area'; 'ambitious, comprehensive and balanced arrangements on trade in services'; a 'broad, comprehensive and balanced security partnership' etc. The detail is left almost entirely to be worked out in negotiations and, if that is successful, an agreement (or maybe a number of agreements) for the future relationship will come about. It may prove to be a benefit to negotiators that the PD is drafted in this way. The PD is a framework for negotiations but leaves much scope for negotiators - perhaps directed by Parliament - to develop the future relationship. Article 184 of the Withdrawal Agreement links the PD to the agreement since it requires negotiations on the future relationship to take the necessary steps to negotiate expeditiously the agreements governing their future relationship referred to in the PD. The EU view is set out in the letter to the Prime Minister - " .... these two documents, while being of a different nature, are part of the same negotiated package. 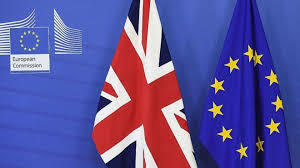 In order to underline the close relationship between the two texts, they can be published side by side in the Official Journal in a manner reflecting the link between the two as provided for in Article 50 of the Treaty on European Union (TEU)." The Prime Minister has not been able to secure actual changes to the text of the Withdrawal Agreement or, for that matter, the PD. Nothing of major significance was achieved and probably nothing that would persuade a wavering MP to change from voting against the deal to voting for it. Taking no deal off the table ?